Do your travel ambitions eclipse your bank account? We’ve got just the fix: destinations around the world that offer plenty of cheap ways to stay, play, and eat. Whether you’re on the prowl for a perfect beach or a city bursting with culture, these cities and countries deliver big but cost little. Not all of them will stay cheap in the years to come, though, so if you’re inspired to go, do it soon. Bargain hunters, outdoorsy types, and the food obsessed should look to the Philippines. The country’s combination of cosmopolitan affordability and splendid nature make it a destination that offers a lot for the money. Lonely Planet recently named it one of the top value destinations for 2014, and according to CIO Wealth Management Research’s Prices and Earnings report, Manila has some of the cheapest shopping and upscale dining in the world. For example, a couple can buy a new wardrobe there for about $410 — seven times less than what you’d pay for similar items in Tokyo. And the average cost of a three-course meal in a good restaurant is a mere $18, compared to about $95 in Geneva or Oslo (two of the cities featured in our recent story on the world’s most overpriced destinations). If you’re concerned about whether a visit to the Philippines is appropriate so soon after Typhoon Haiyan, know that the country considers tourism to be an important part of its recovery. Large portions of the country — and the majority of popularvacation destinations — were undamaged. Like an ancient epic adapted for modern life, after years of strife, Greece is once again on a quest. The economic crisis that racked the country also dampened tourism — a serious blow to a destination that depends so heavily on holiday seekers. Now, Greece hopes to be the place that launches a thousand ships, airplanes, and trains, all carrying visitors back to its ancient ruins and famed beaches. Beguiling budget travelers with a siren song of lower prices and smaller crowds, Greece’s only real question is: Are you listening? Can you afford azure waters and silky white-sand beaches? In the Dominican Republic, you can. While the Caribbean isn’t known for its affordability (we recently wrote an entire story on the region’s most expensive islands), the Dominican Republic remains — at least for now — a bastion of value in a sea of high prices. With service from low-cost carriers including AirTran, Frontier, and JetBlue, and air-and-hotel vacation packages from not only a slew of airlines but also discount providers like CheapCaribbean.com, the Dominican Republic seems to have an endless supply of affordable options. Prefer to head off the beaten path once you arrive? The Guardian recently rounded up 10 great budget beach hotels in the Dominican Republic. 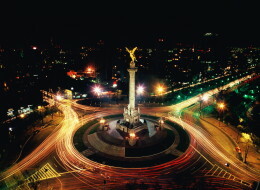 Two key aspects score Mexico City a spot on this list: You can generally find very affordable flights from the U.S., and once you’re there, you can enjoy luxury for a whole lot less than in other major cities. And while that makes it a slightly different style of “cheap,” it’s certainly one worth embracing, particularly if you’re focusing more on maximizing value than on paying as little as possible. According to the Prices and Earnings report, Mexico City is one of the cheapest places in the world to stay in a five-star hotel: The average rate is $210 per night. Compare that to $730, the average rate at a luxury hotel in New York City, and upscale Mexico City starts to seem dazzlingly within reach. Lisbon is as easy on the eyes as it is on the budget. Stretched across a series of hills, the city is a captivating combination of friendly locals, picturesque winding streets, and affordable pursuits. How affordable? According to the Prices and Earnings report, Lisbon’s mid-range hotels are the cheapest among the 72 cities surveyed, with an average rate of $80 per night — a whopping 50 percent lower than the global average. And Lisbon is also home to not one but two of the properties we featured in last year’s10 Hostels Too Upscale to Believe. Still harboring the scars of more than two decades under the Communist rule of Nicolae Ceausescu, Bucharest’s melancholic edge is offset by its metropolitan verve. And while more and more visitors are discovering the unique appeal of the city once known as “Little Paris,” it’s still a very affordable destination and a great place to go upscale for less. In fact, its luxury accommodations have an average rate of $190 per night, making Bucharest among the cheapest cities in the world to stay at a five-star hotel. And according to the Prices and Earnings report, Bucharest is the least expensive city for a weekend getaway that includes accommodations, a meal with wine, taxi and public transport, a car rental, and extras: The average cost of $370 is a mere fraction of the cost of a similar holiday in Paris, estimated at $1,100. If you can absorb the higher price of airfare to get all the way to India, you’ll be rewarded by a favorable exchange rate, inexpensive accommodations, an abundance of free attractions, and wildly affordable dining and shopping. Both Frommer’s andLonely Planet named India a top destination for budget travel this year, and thePrices and Earnings report put Delhi and Mumbai at the forefront of the world’s most affordable major cities. This is especially true when you start looking at the prices of goods, services, and food. However, keep in mind that violence against women has become a high-profile issue, so while a trip to India can be incredibly rich and memorable, travelers should factor safety into their plans. Mid-range and budget travelers rejoice: Sofia is still a bona fide affordable destination. Bulgaria’s capital has the cheapest mid-range hotels among the 72 world cities surveyed in the Prices and Earnings report: At around $80 per night, they are 50 percent less expensive than the global average. The city also scored the number one spot on Price of Travel’s annual Europe 3-Star Traveler Index, with an average daily cost of about $49 for accommodations, transportation, meals, and activities. It’s not just Sofia, either; Lonely Planet recently recognized all of Bulgaria as a great deal. Every few years, a new Central American country gets crowned “the next Costa Rica” — meaning it’s relatively safe and bursting with natural beauty, but it’s not yet expensive and overrun with tourists. This year, Nicaragua is working hard to earn the title. Volcanoes, rainforests, rivers, and Caribbean beaches lure travelers looking for off-the-beaten-path adventure on the cheap. But as the term “the next Costa Rica” implies, if Nicaragua becomes more popular in the years to come, it will likely become more expensive as well. Until then, expect to be able to spend as little as $20 per day, or live the high life for not a whole lot more. Note that many see the recent constitutional amendment that removes term limits on the presidency as a potential threat to democracy, but it seems unlikely that there will be any immediate effect on travelers.